Only bright days ahead. 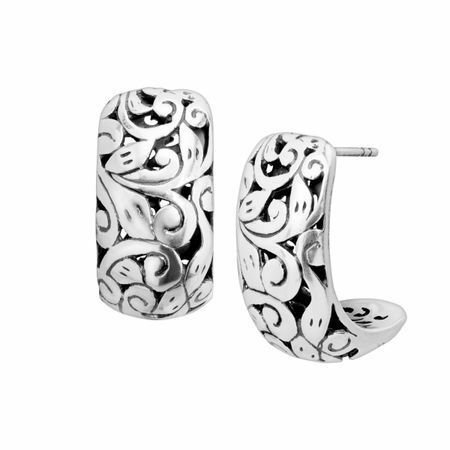 These J-hoop earrings feature a fresh filigree design that pair effortlessly with any outfit. Earrings measure 7/8 by 1/2 inches and feature posts with friction-backs.